One of our most classic daybed designs. Decorative elements are sand cast directly onto the iron framework in the traditional manner. Molten metal is poured into molds on the frame, giving it an unsurpassed strength and authentic charm. Solid brass accents. 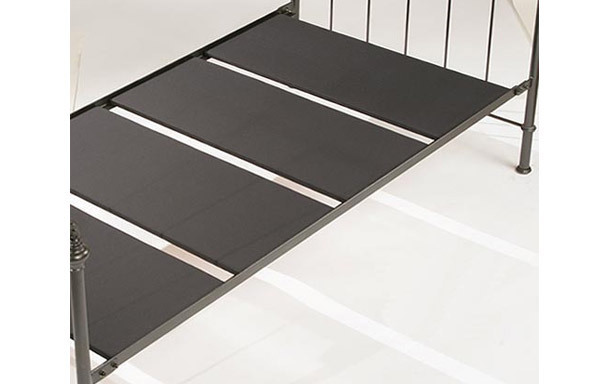 Optional trundle unit can store extra mattress and pops up for use when needed. Review: "The bed was delivered on time and in perfect condition. It was easy to assemble, great quality and it looks beautiful. With the mattresses we purchased with the bed it is also very comfortable as rated by all of our overnight house guests." Review: "Set up: It even comes with a bottle of touch-up paint! Easy to put together. (Even easier if you read the directions.) I found a short handle/snub nose screwdriver to work better for me in setting up. The bed: 1) The brass part is a little thinner than I expected. Seems like it would dent easily (though I haven't tried that yet). 2) Optional wheels might be good for those of us who are not sure exactly which direction the bed goes best in our room. Those legs are just begging for wheels, like many of the old iron beds had. 3) It comes with wide COVERED slats -- that screw into place! How nice! I expected to have to buy and make those separate. The trundle: Works real smooth." Review: "Beautiful bed in our 100 year old farmhouse in the upper midwest. Looks like it has always been there-and is so very comfortable! Easy to put together and quite impressive to look at. I recommend this bed without reservation. I got the trundle also. It was delivered before I expected. Thanks!" Review: "We absolutely love our iron and brass sleigh bed! Beautifully made, it is perfect for us. We appreciate Charles P Rogers flexibility when we ordered the wrong color for us. Although the black may be more classic and versatile, the antique white was the one for us. Thank you for the perfect bed for our needs." Review: "This bed was the solution to the problem of creating a guest room out of a very small bedroom." Review: "This day bed not only looks nice but is comfortable. I had guests shortly after I purchased it, and they raved about the mattresses. I also appreciate the service I provided. It arrived on time and was very pleased with everything overall." Review: "I'm very pleased with the excellent quality and terrific appearance of this daybed. It's a great addition to the guest room. Customer service was outstanding"
Review: "This bed is beautiful. It looks a good in my room as it did on the photos online. It was easy to assemble. I love it. I would recommend it. The mattress is firm as advertised. Niles was awesome in helping me select it when I discribed my decor." Review: "We were impressed with the packaging to start. Everything arrived in great shape. Assembly was basically trouble free. We love the daybed. The vintage white finish is beautiful. It was a Christmas surprise for our daughter and new son-in-law. They liked it so much they just bought one for their apt. in Brooklyn. It was delivered and assembled for free this past Friday and they are thrilled! Thanks"
Review: "This bed was delivered in perfect condition. Putting it together was easy and tools were provided. The bed is solid and the brass is not shiny-which is exactly what I wanted. The mattresses are comfortable and the price was right. My free delivery special made my experience even better." 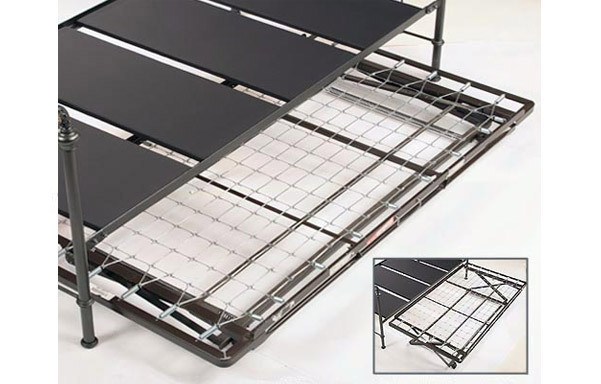 Review: "I ordered the iron and brass daybed and the trundle bed online. I received the bed in a timely manner and there was no damage from shipping. The bed was easy to put together (even without any instructions) and is sturdy and of good quality in fit and finish." Review: "This bed is absolutely beautiful! My daughter loves it! Her bedroom has some difficult angles, so fitting a bed was a challenge. This bed is perfect-well made, great proportions, and the trundle is an excellent addition. The customer service was outstanding as well as set-up and delivery. This is my second bed from Charles P. Rogers and I recommend them highly to all my friends. Thank you!" Review: "It is perfect for a guest room - looks great and works very easily." Review: "This is the second bed I've purchased from Charles P. Rogers and they were both of excellent quality. I was very pleased with the design, detailing, and quality of materials. They are gorgeous!" Review: "Had trouble with the trundle bed initially but Charles Rogers stood by their order and replaced it. I appreciated that. Good looking bed and customer service that comes through in the end." Review: "My antique white sleighbed is everything I expected it to be after seeing it advertised in Country Living Magazine. When I placed my order over the phone the salesperson I contacted was very helpful. It was a bit scary ordering a bed without ever seeing it in person, but when it arrived I was delighted with the craftsmanship and fine quality of the sleighbed. I would recommend the Charles P. Rogers Company without hesitation to all my friends. Sincerely, Julie McCrystal"
Review: "This is the second bed we up have purchased from Chas Rogers and both have been of superior quality. This one is for a guest bedroom in our vacation home and it is lovely! The construction quality is outstanding and the aesthetics are great. I would highly recommend Chas Rogers to anyone. 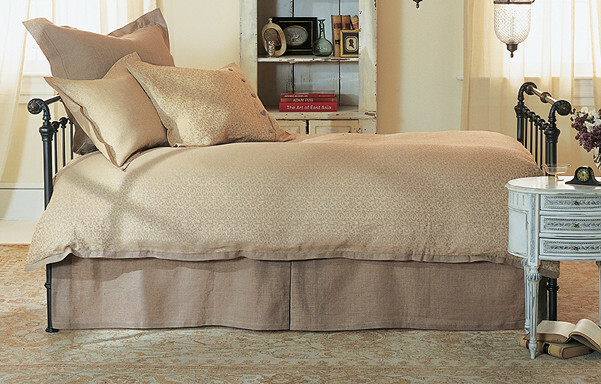 By the way, their sheets/linens are also superb; it is rare that I purchase from anyone else!" Review: "This is my third Charles Rogers bed, so you know I love the brand. I love the quality of this bed but there is one major flaw. The legs at both ends splay outward. I noticed it and it bothered me a little. Then, of course, it's the first thing my friend noticed when she visited my loft. I contacted the company, and they quickly responded and sent me out some locking washers, which helped a little bit. The person who sent me the washers said the problem may be my bare floors. I can't fix that problem as I live in a historic loft with the original floors. I am constantly having to straighten the headboard and footboard. This makes me question my decision to buy this bed. I would not buy this bed again, for this reason."